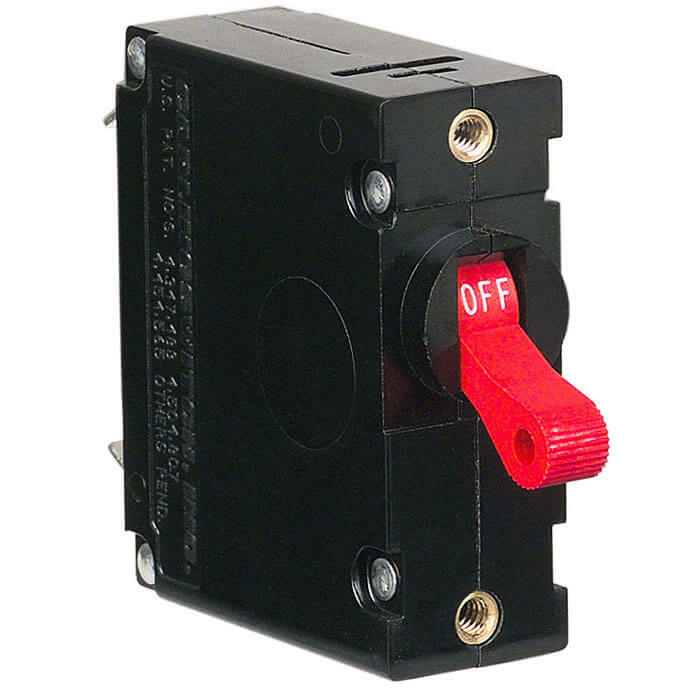 The A-Series hydraulic/magnetic circuit breakers are compact and temperature stable designed for precision operation in OEM markets requiring general purpose as well as full load amp applications. Share the post "A-Series Magnetic Circuit Breaker 1-Pole 20 Amps"
Carling Technologies A-Series circuit breakers have long been recognised as the industry standard in marine circles. 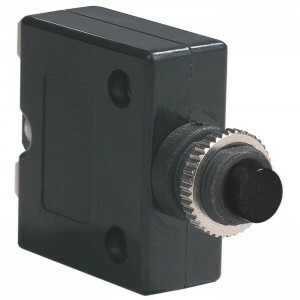 Used extensively in switchboards and panels by boat and ship builders worldwide, the A-Series is also utilised in a variety of other markets where performance is paramount, particularly in high ambient temperature environments. The standard range includes both single and double pole versions, with red handle actuators, angled screw terminals and flush rear mount fitment. A popular range of current ratings are readily available.